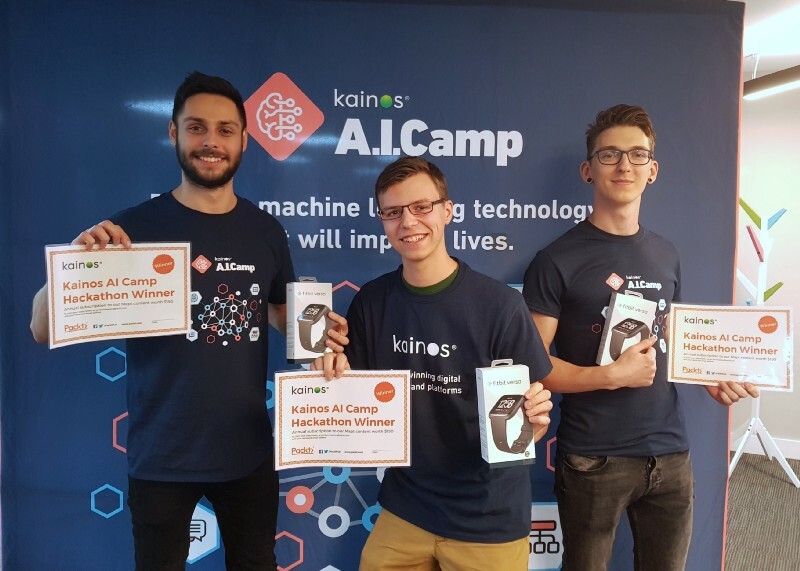 A.I.Camp is a brand new initiative from Kainos that made its debut in Belfast in 2017. Last year’s A.I.Camp took 18 eager students and up-skilled them in Machine Learning processes over two weeks with practicals and theory lessons. One year on, and A.I.Camp has grown even bigger, taking on the task of expanding out Birmingham. The delivery of both Belfast and Birmingham A.I.Camp was placed in the hands of Jake Young and I. We both started our AI journey at last years A.I.Camp in Belfast and were given the opportunity to mentor this year, which we would never have believed if you said that a year ago! A.I.Camp last year was the first ever teaching camp of its kind in the whole of the UK, which is an amazing fact to be able to say. The two weeks last year were filled with learning the fundamentals of Machine Learning and applying it at a full day Hackathon to showcase what we had learnt. Following on from this, we planned to make A.I.Camp bigger and better than the year before and the new Birmingham A.I.Camp was key to this. 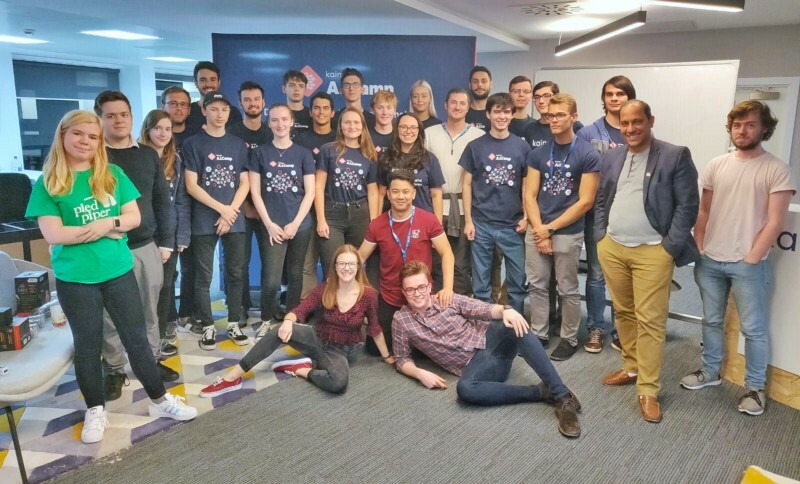 This year, Kainos opened their brand new location office location in Birmingham which is a location surrounded by up-and-coming talent in local universities. 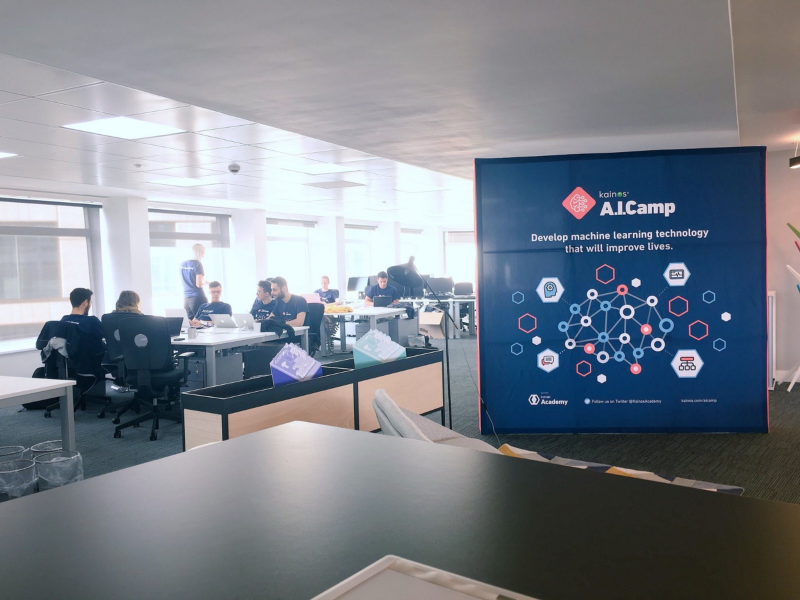 Expanding A.I.Camp to Birmingham was an easy decision, with a brand new office and the local talent, it was a perfect way to build on the success of last year’s A.I.Camp. We were hosted in the amazing Birmingham City University for the two weeks of teaching and for those interested in the topics we delved into, keep reading. During the first week of A.I.Camp, we cover material that gives students the foundation of knowledge they need to understand key areas of Machine Learning and then build on those in the second week. One of the topics that the students covered was K-Means Classification using the K-Nearest Neighbours Algorithm, and while understanding the theory behind this is great, applying it practically is the whole point of A.I.Camp. 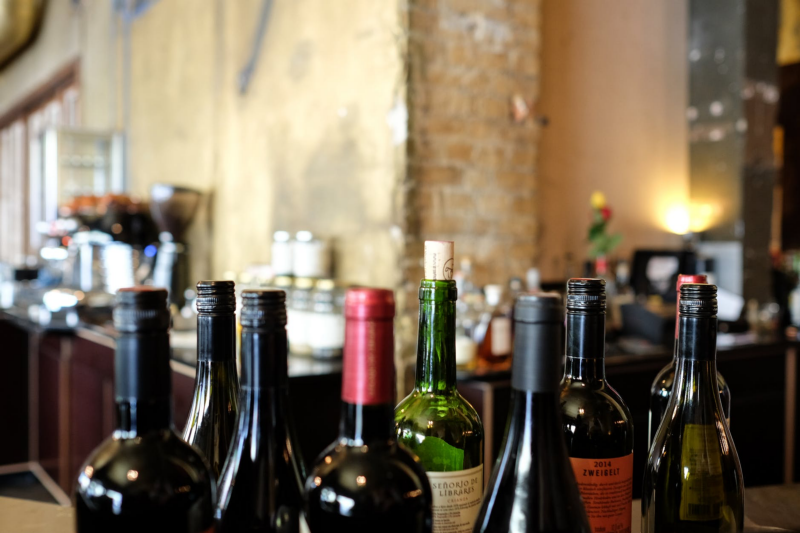 We took K-Nearest Neighbours and applied the algorithm to clustering red wine with the goal being to determine the quality of wine based on its composition. Being able to classify data based on similarities is key to Machine Learning and has proven to be the most simple but effective way to classify data. Another important part of A.I.Camp is seeing how the Machine Learning models that you have created and trained can be used as an end product. In the second week, we take the models and code from the first week and use that to create a chatbot. The chatbots we create, take in data from the users and based off its training, the model then makes a prediction. One of the exercises used a chatbot to determine whether an image is a cat or dog. The idea behind having a front end on top of the model is to show in a more visual way the uses of Machine Learning and how it can be interacted with. But A.I.Camp isn’t just about learning how to code and create useful Machine Learning solutions. Over the two weeks there is also an emphasis on soft skills. Throughout the students’ time at the camp we go over how to problem solve, create innovative ideas, communicate and how to present to an audience which all tie together nicely when it comes to the final Hackathon. Over the two weeks we also had a line up of guest speakers who have experience both in the academic field and the business sector within AI. Alan Dolhasz, a PhD student at Birmingham City University, gave the students an excellent talk on using CNN’s to mask images on to each other, as well as a workshop on using TensorFlow and CometML in Machine Learning projects. The students also heard from Kari Lawler from Innovation Birmingham and founder of Youth4AI on how the media perceives AI and her journey forming an AI startup. At the end of the two weeks, we held the traditional eight-hour Hackathon where the students formed teams and created their own product that used Machine Learning. After the full day coding session and when the final products were complete the students pitched their ideas to a panel of judges; we were grateful to have a varied panel with judges from Kainos, Microsoft, Youth4AI and Birmingham City University. After much deliberation we had a winner. Team Coeus came first place with their Chatbot which converted paper documents and handwritten mathematical expressions into a digitised format. Over the past two weeks in Birmingham we have seen some outstanding work and we were highly impressed with the amount of varied and innovative Hackathon Solutions that were created. It has been an amazing experience being able to build on what we learnt as students last year and take that one step further for this years A.I.Camp as mentors. Best of luck to the mentors next year, it is an invaluable experience you won’t forget! If you’re interested in applying for A.I.Camp and want to stay up to date, sign up for alerts on next year! Chloe joined Kainos as a placement student in 2018. She took part in A.I.Camp in 2017 and was mentor in 2018.